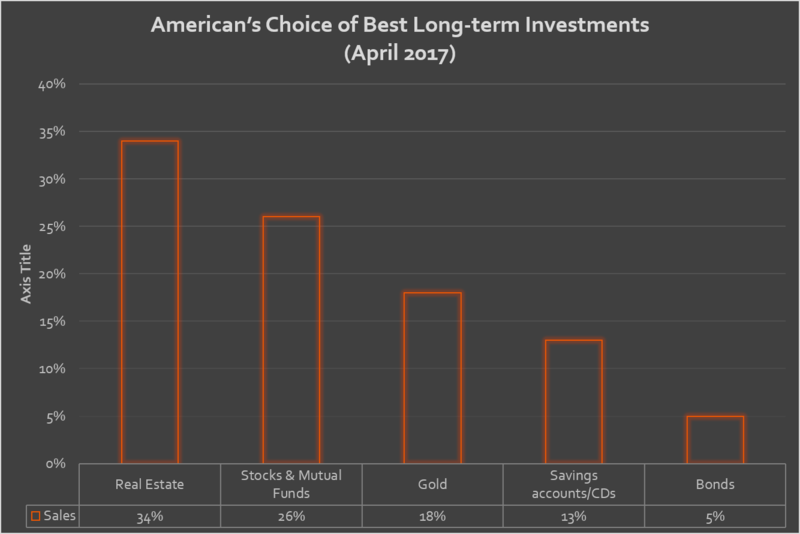 When asked “which of the following do you think is the best long-term investment,” Americans have chosen real estate as the favorite investing type for the fourth year in a row. 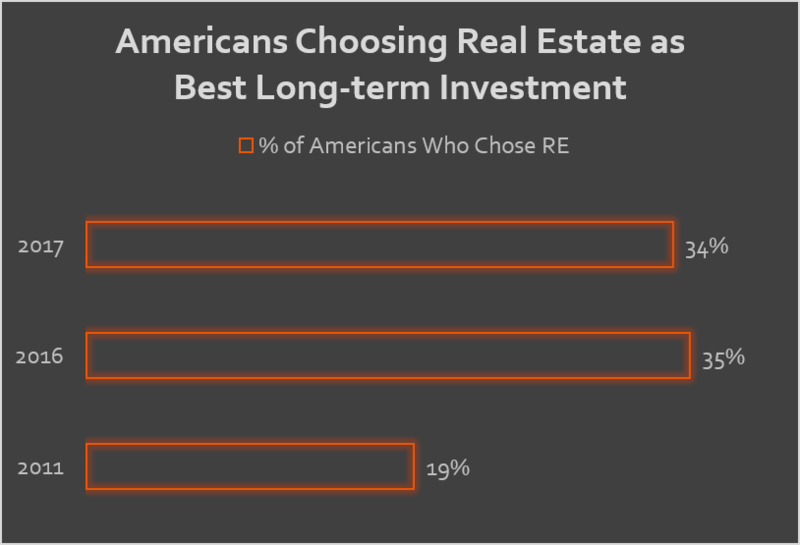 A Gallup Poll indicates real estate is the top long-term investment at 34% with Stocks/mutual funds falling behind at 26%. Real Estate hasn’t always been the top choice, just six years ago during the sharp downturns in the housing market, only 19% of Americans chose real estate as their favorite investment. Will an Economic Downturn Decrease Real Estate Investing Popularity? The Gallop Poll mentions a “leveling off of preferences” for real estate from a one percent drop in the percentage of popularity from 2016 to 2017. The famous phrase, “history repeats itself” is strongly implied, referring to the third longest economic expansion in US history that followed the 2007-2009 recession. 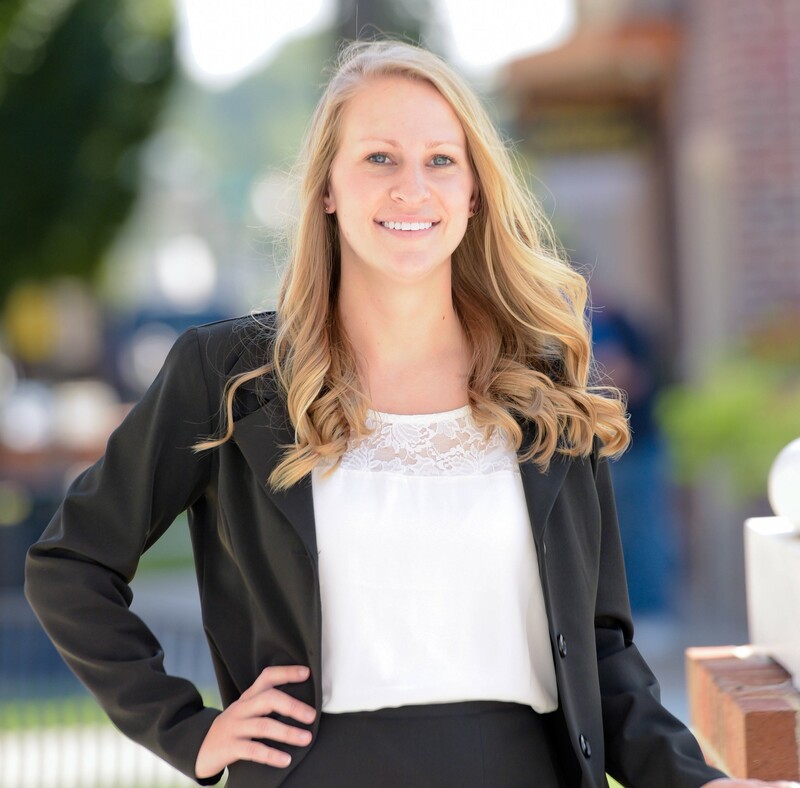 The article says; “Still, despite meaningful increases in housing prices and stock values over the past year, Americans’ preferences for real estate and stocks have held fairly steady, possibly a sign of residual caution on consumers’ part. As long as the economic shocks of the Great Recession remain a vivid memory, preferences for these may not swell much further.” Though consumers are cautious and concerns have been raised about an economic downturn in the near future, a recent interview with the CEO of Marcus & Millichap expresses a more positive light, especially for the commercial real estate industry. The real estate industry has seen significant attention over the past decade. Receiving its own home in the S&P Dow Jones shows that there is confidence in the industry across the globe. The immense growth has created job opportunities for Americans from construction to property management and everything in between, which has contributed to the economic growth during this expansion. The real estate industry in turn offers investors and money managers an investment class that is sure to enhance performance and lowers the beta of their overall portfolio. 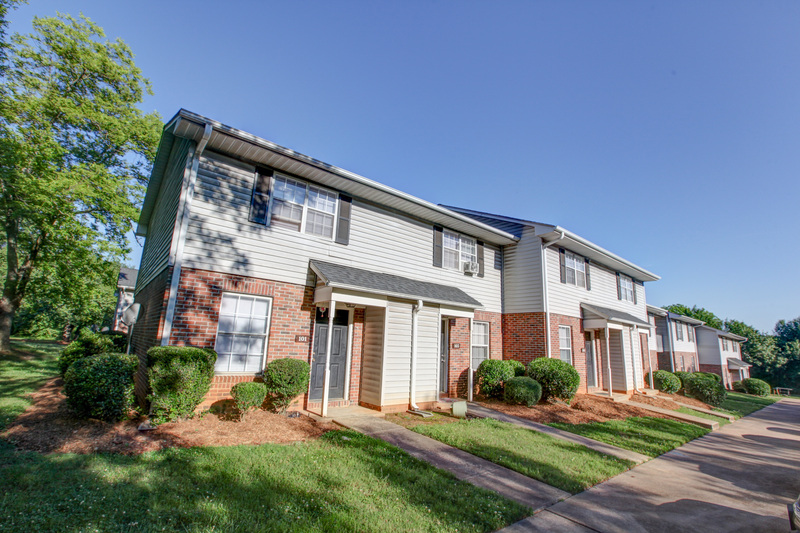 View our case studies to see why real estate is the top investment choice for Americans. How can you invest in real estate? Click the image below to visit our investor portal. You can view our offering and create a free account!